Elizabethan Education was generally for boys of the Upper and Middle Classes. However, Upper Class girls, often members of the Nobility were also given and education. 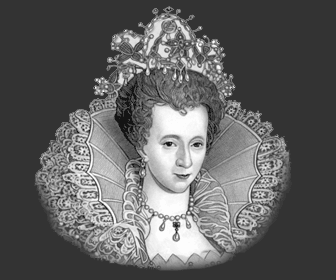 The following link regarding the Education of Queen Elizabethdescribes the type of education offered to the Nobility who were invariably taught by tutors. This page details the type of Education afforded to males during the Elizabethan era. The most elementary level of education was conducted for boys aged between 5 and 7 at what was called a ' Petty School '. These lessons and general education were conducted not in a school but in the house of the teacher. The word ' petty ' probably derives from the French word ' petit ' meaning little or small. These Petty schools were usually run, for a small fee, by a local, well educated housewife, and were therefore also referred to as ' Dame Schools '. At the ' Petty School ' or ' Dame School ' the boy's education would consist of being taught to read and write English, learn the catechism and also learn lessons in behaviour. These were considered the most important elements of Elizabethan Petty School education and what must be taught during childhood. The Children of Noble birth were invariably taught by tutors at home but, from the age of 7 to 14, children of a lower standing went to Grammar Schools - the most common institute for Elizabethan education during the Elizabethan period. Many schools were financed by the local Guild. The Ushers often refused to be bothered with the teaching of handwriting and this element of Elizabethan education was often taught by a temporary travelling scrivener for a few weeks during the school year. Between the ages of 10 and 14 boys leave the Ushers to be taught by the Masters in the following lessons. Elizabethan Life at school was quite strict. During summer the school day started at six o'clock in the morning and finished at five o'clock in the evening. There was a two hour break at midday. Because of the dark nights the hours changed during the winter and school started at seven and finished earlier at four o'clock. The school week consisted of a five full days and a half-day on Thursday which continued for between 40 to 44 weeks of the year. This meant that the school boys spent at least 2,000 hours in school – more than double the current school hours. The school boys were expected to converse in Latin at all times in order to improve their spoken fluency in the language and any boy caught speaking English at school was punished. The punishments were fierce and fifty strokes of the cane was not an uncommon occurrence. The religious education of all children started with the example set by their parents. And this religious education continued at school. It is important to note that a school's curriculum and the Elizabethan education of children was dictated by the ruling monarch of the time which would, of course, also reflect the religion of that particular King or Queen. Queen Elizabeth's father, King Henry VIII, started life as a devout Catholic and his daughter Mary was brought up in this faith. He then fell in love with Anne Boleyn and in order to divorce Katherine of Aragon he broke his ties with the Catholic Church and the Church of England was established. The new Protestant religion came into favour and his son Edward and younger daughter Elizabeth adhered to these faiths. This resulted in the religion of England careering from the Catholic to Protestant religions according to wishes of the reigning monarch. Elizabethan Education altered accordingly. The catechism was an Elizabethan book detailing the details of the Christian Faith. Children would be expected to learn by heart certain passages at the Elizabethan Petty School which related to being a 'good Christian' as part of their education. An example of this would be "I will renounce the devil". The Elizabethan Horn book was the most important tool used in the Grammar schools. Reading and Writing skills were learnt from the alphabet detailed on a 'horn-book'. A horn-book was a piece of parchment usually pasted on to a small wooden board with a handle, and covered with a thin plate of transparent horn ( from where the name of horn-book was derived ). This made the horn-book durable and inexpensive and an important item during the ceducation of children. The horn-book displayed the alphabet in both small letters and capital letters. The Lord's Prayer in English was also included on the horn-book together with the mark of the cross, hence the alphabet detailed on the horn-book was known as ' Christcross-row ' or ' chrisscross '. The Elizabethan alphabet contained 24 letters, as opposed to the present day alphabet of 26 letters. In the Elizabethan alphabet the letters "u" and "v" were the same letter as were and "i" and "j". The "j" was usually used as the capital form of the "i"in the alphabet. The "u" was used only in the middle of a word, and the "v" was used at the beginning. The other difference with the Elizabethan alphabet was that there was another letter which resembled a "y" which was used to represent the "th" sound. Some words were also spelt with and additional "e" at the end. And finally, numbers were frequently given in lower case Roman numerals, with the last "i" in a number written as a "j". For example, viij May. Elizabethan schoolboys normally attended Grammar school until they reached the age of fourteen when they continued their Elizabethan education at a University. Oxford University or Cambridge University werethe most popular choices. A Classical Elizabethan education would have been provided at universities during the Elizabethan era. Teachings from various faculties were available to University students. Elements of the above Classical University Elizabethan education would have taken by the prominent figures in the Elizabethan era. In addition to a University Elizabethan Education the wealthy Upper classes would have also toured the major cities of Europe. Travelling to other countries meant getting permission from the monarch to do so. Therefore it was usually only the nobility were able to travel abroad. Click the following links to access more information about the old English Elizabethan Language and the Elizabethan Online Dictionary for an easy to follow Elizabethan language guide. The translation and definition of the Elizabethan words and meanings used in the Elizabethan language make the literature of the era, including the works of William Shakespeare much easier to understand.